Yuri Guaiana, an elected member of the Steering Committee of ALDE Party Individual Members, tried to deliver two million signatures against an anti-gay crackdown in Chechnya. Guaiana and four other activists were detained while approaching the Prosecutor General’s office in Moscow, thus preventing them from delivering the petition. Yuri Guaiana and the other four activists were released after several hours in custody. Guaiana was forced to leave Russia immediately. But members of the liberal opposition as well as members of the LGBTI community in Russia still face harassment and persecution every day. Russia is a signatory of the European Convention on Human Rights, which should guarantee the freedom of expression under article 10 and prohibits any form discrimination under article 14. ALDE Party has long called for the government of Russia to fully grant their citizens all freedoms laid down in the European Convention on Human Rights. Therefore, we, the Steering Committee of ALDE Party individual members, call on President Putin to finally honour this commitment. You can read the full text of the petition and sign it here. More than 100 men have reportedly been arrested under suspicion of being gay in Chechnya. At least three men are reported murdered. We call on you to immediately investigate these atrocious crimes and to bring to justice all those responsible for the arrests, torture, and killings of gay men in Chechnya. 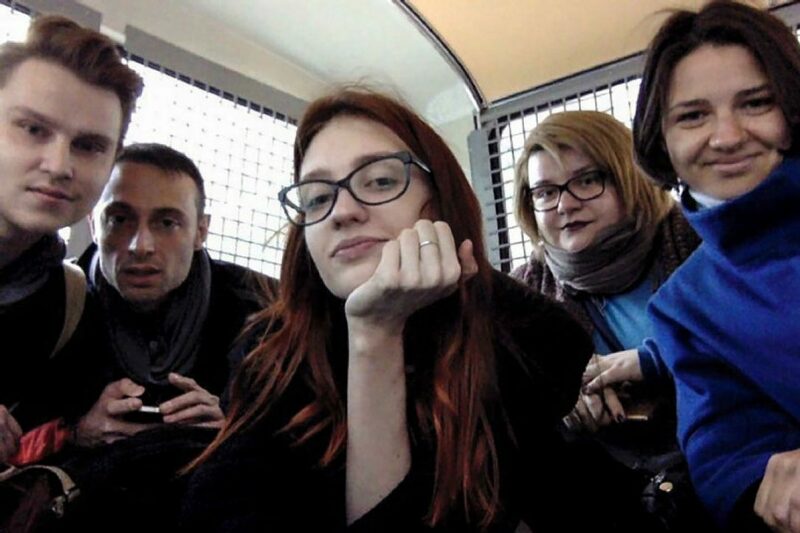 Update - 11 May 2017: Some of our partners have just been arrested in Moscow trying to deliver signatures against the anti-gay crackdown in Chechnya. We are following closely and will continue to share updates as more information becomes available. Update - 5 May 2017: Thanks to international pressure, Russian authorities finally declared the initiation of a federal investigation into the situation in Chechnya, after delegating it to regional authorities. Now we need to make sure it is carried out properly and all those responsible for the arrests, torture, and killings of gay men are brought to justice. Gay men are being kidnapped and killed in Chechnya, Russia. Over the weekend, horrifying news broke that more than 100 men have been arrested under suspicion of being gay. There are reports of people being tortured, beaten, and forced to share information about other gay men in the region. At least three men have been murdered. The official response from Chechen authorities is that "gay people do not even exist in Chechnya." Demand that Federal Russian authorities immediately investigate these atrocities and bring to justice all those responsible for the arrests, torture, and killings of gay men in Chechnya. This campaign is being run in conjunction with the Russian LGBT Network. All Out is also running an emergency fundraiser to help the Russian LGBT Network evacuate and support gay men at risk of being captured and tortured in Chechnya. You can make a donation here. Published on April 4, 2017.